This debut is a thoughtful, enchanting and innovative look at a new world through a young boy’s eyes. The protagonist Donovan and his stuffed rabbit Toby are wonderfully painted and will certainly captivate the hearts and minds of children and young adults alike. The friends’ challenging journey through ‘The Quiet Forest’ is particularly evocative and the descriptive writing on offer is coupled with creative illustrations that will work in tandem throughout to evoke an array of emotions. With ‘The Wizard of Odd’ Soda manages to inspire a sense of wonder, danger and excitement that will leap from off the page. The tale is slightly dark in places and that is worth a mention; this is by no means your average bedtime read, considering the boy loses his family and ends up in a strange alternate universe at the books’ opening. However the story is very warm and vibrant in many other places. The friendship and bond between the central characters is put across in an admirable and heart-warming way and as such, readers can easily relate and become attached. Equally credible is ‘Cloud City’ (or ‘Baziel’) as an attractive location between earth and the heavens. The landscape is marvellously put together and easy to visualise so that the reader can feel like they are right there to reach out and touch the “cosy” huts and “spooky” trees that are formed in their minds’ eye. The relaxed tone changes once war is waged between the wicked Witch (note her tragic back story in Chapter five) and her nasty army; as they face-off against the scared inhabitants of Baziel. The pace quickens once the journey and battle begin, everything then becomes more exciting and a little more tense. In-turn the writing gets far more descriptive and daring. The concept may seem somewhat familiar at first glance but be sure that this writer has managed to turn a simple “magic” tale into something with so much more depth and meaning embedded in the narrative. 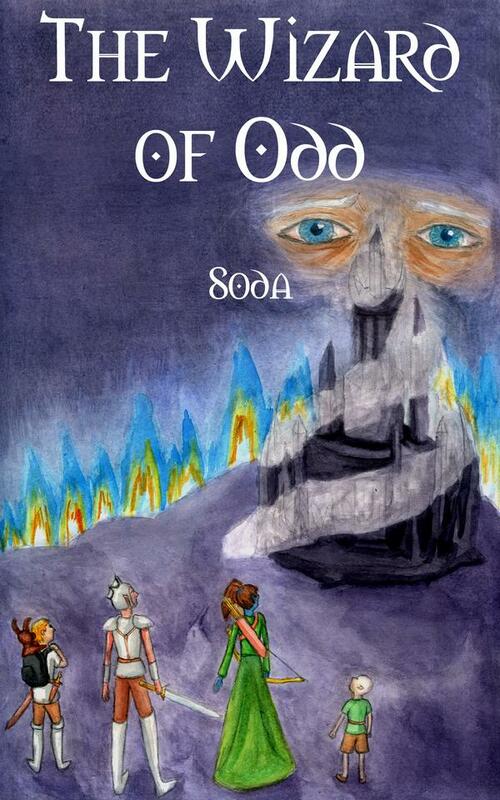 As Donovan and four other unlikely heroes’ attempt to rescue the kind and gentle ‘Wizard of Odd’ from the clutches of the witch before she captures ‘the serene clasp’ which will give her the power to bring darkness upon the land. 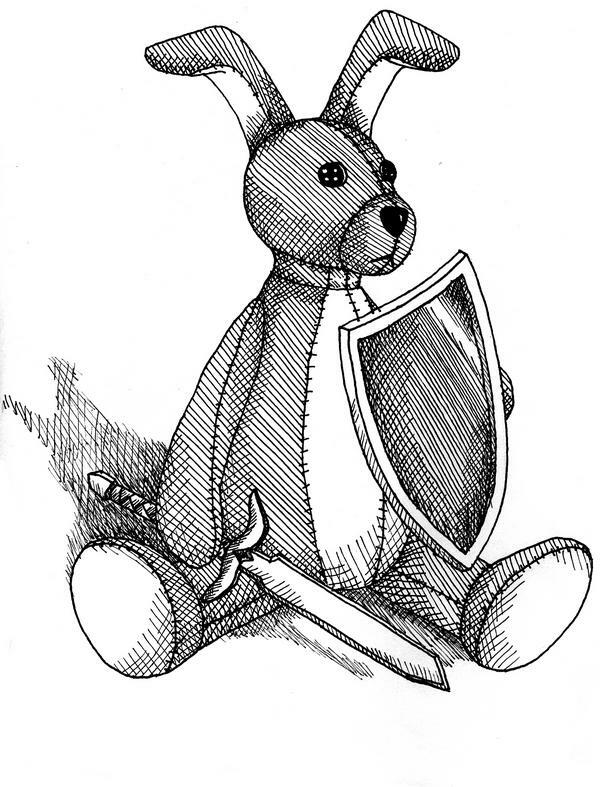 Any readers will find themselves rooting for the light, and willing the loveable characters on; like the toy rabbit (we want one) and the small “thing” ‘Runner,’ whilst simultaneously feeling like they are battling alongside Donovan on his epic quest to save the wizard and restore peace to the town. The defining moment of this book comes when the boy returns home to his family with great memories of being a hero in this unique world. As a new title, and the first offering from the imaginative mind of Soda, ‘The Wizard of Odd’ makes for top quality entertainment that is geared toward the playful child that is within us all. We would suggest this book to people who like their fantasy with some serious twists and a fair bit of action. For more information on ‘The Wizard of Odd’ check out the Myspace. 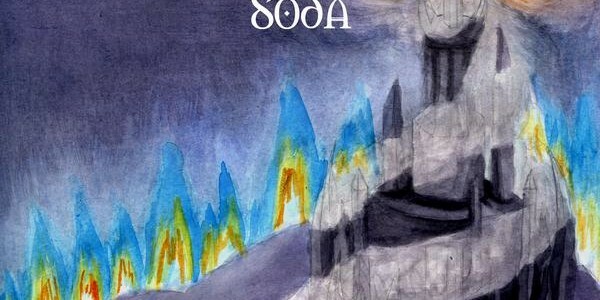 For more information on Soda’s band His Mighty Robot check out our interview here.